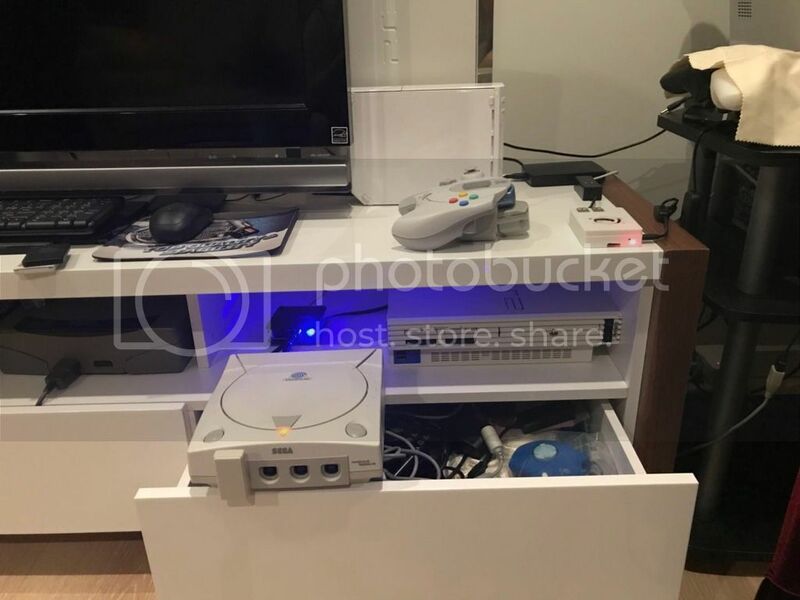 Dreamcast Games you play Online: Any that I can find. LaCie CRT. I got lucky, it's the best you can get. Battery is a replacement for a BMW a car key chain some guy is selling from Netherlands. Everything else (case, fan etc.) 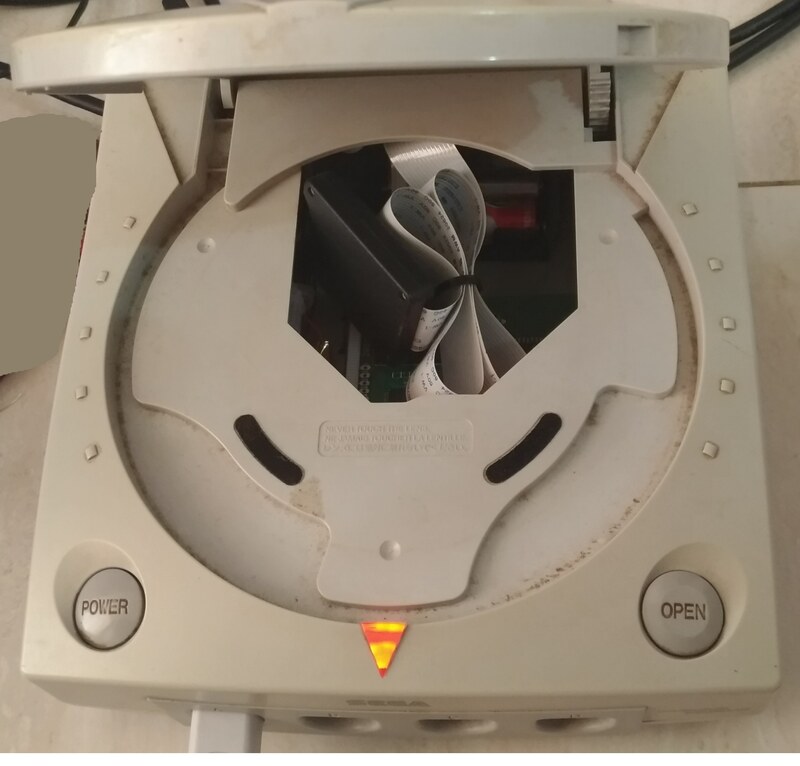 is a dead Dreamcast from UK. The post had fun throwing the parcel with the motherboard around, I had to solder back components onto it; repair traces. Watching Louis Rossmann repairing circuit boards helped a lot. zeroday wrote: LaCie CRT. I got lucky, it's the best you can get. If that's the one, than it's a damned fine screen indeed. Just too bad it has this faint line in the middle though. Keeps it from being the perfect monitor. I'd like to share the setup I finished last week. I made a cheap battery mod with regular 1.2v rechargeable batteries - uglier, but easier to replace if necessary. 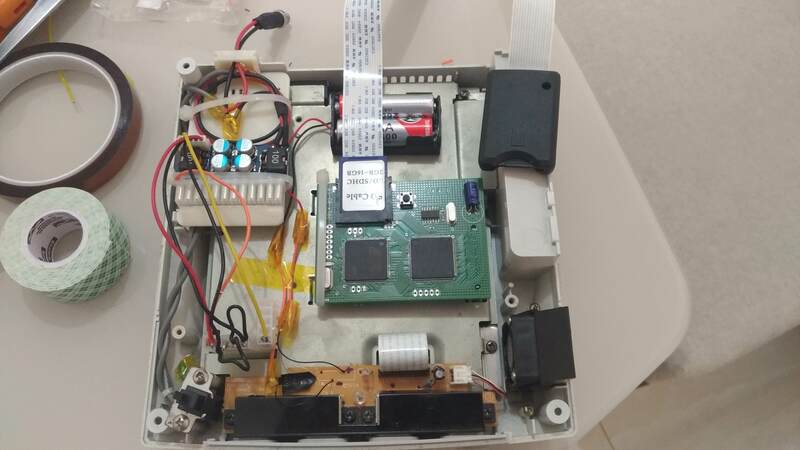 I use an earlier version of GDEMU, so found out a way to fix it better in the main board, so I can turn the console upside down without problem. 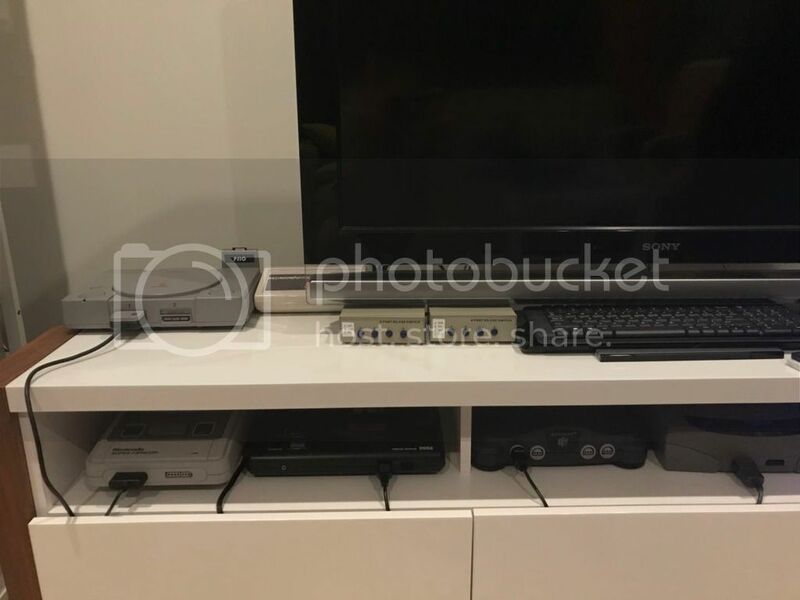 Additionally, I used a SD card extension so I can switch cards 1) without forcing the motherboard contact and 2) without the need of putting my hand inside the console. I can play with the case closed without problem. With the extensor, I made it difficult to access GDEMU button, but it makes no difference since GDMenu makes it useless. TuxTheWise wrote: I'd like to share the setup I finished last week. I liked the SD extension idea, good one! Now you just have to clean that DC. Raen wrote: Now you just have to clean that DC.